Lightweight, these jeans feature wide legs with raw edges and cut-out detailing at the hems. 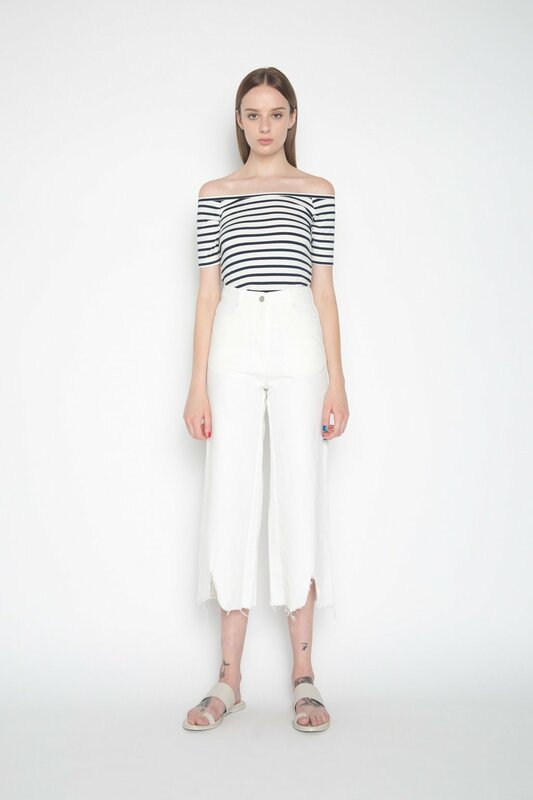 The white wash and cropped length are perfect for the summer. Pair with a sweater tank and flat mules for an effortlessly chic everyday look.